FREE Rock Chip Repairs with any New Auto Windshield Replacement: We offer FREE rock chip repairs with any windshield replacement that we install including insurance claims. That’s right……We will repair your clients car windshield after a replacement without filing a new claim. We offer this to promote a lifetime relationship with our customers and agents. No Charge = Less Claims! We Handle all Claim Processing: We will connect your policyholder to the appropriate 3rd party auto glass claim administrator to file the claim directly. We are a proud preferred member of Safelite Solutions and LYNX services. 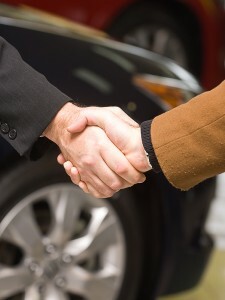 We will answer all of your clients questions and guide them through the entire claim process. Making the entire process easy and painless. All Insurance Approved: We are a member of LYNX and Safelite Solutions and honor all insurance contract pricing so that there will never be any additional out-of-pocket costs for you or your client. Phoenix Locally Female Owned and Operated: All calls are answered directly by the shop that will be performing the work. Questions are answered fast by a knowledgeable representative. Owner & Manager, Lanette Canen, works along with staff to keep the shop running smooth and organized. Plus, you will be helping your local economy. Convenient Appointments: We don’t make your policyholder wait all day for us. We schedule two hour time frames and call when we are on way. Low Price Auto Glass Replacement Prices Online: We offer very competitive pricing for your clients that do not carry glass coverage and provide agent referred discounts. Send us a customer and tell them that you were referred them and we will give them an extra $10 off our already low prices. Unlike our competitors, we price off of our cost and not the National Auto Glass (NAGS) system. Nationwide Lifetime Warranty: We offer a NATIONWIDE lifetime warranty against manufacturer defects, leakage, and workmanship. Plus, our warranty is backed by all major insurance companies including: Allstate, Geico, American Family, Farmers, Safeco, Liberty Mutual, USAA, and many others. Therefore, regardless if your client is here visiting or not, we got them covered! Local Answering Staff that knows You: Our local staff will get to know our customers & clients and greet you like your family. Member of the BBB: We believe that accountability for service is not just a thing of the past. We are a proud member of the Better Business Bureau since 2007 with an A+ rating. Check out our reviews!! Fast Response: Most work can be completed same day or within 24 hours of the policyholder’s or agent’s phone call. Free Phoenix Valleywide Mobile Service: We will come to your policyholder’s home or business for FREE. Yes, anywhere in the Phoenix metro area including Phoenix, Mesa, Chandler, Queen Creek, Surprise, Goodyear, Avondale, Maricopa, Apache Junction and Scottsdale. One Call Does it All: We will answer all of your questions or concerns and help file the auto glass claim directly with appropriate glass network. Claim calls only take about 10-15 minutes and can be completed same day in most cases. Safety is Key: We use only high quality fast-drying urethane’s to keep your client safe and drive-away times to a minimum. Knowledgeable Staff: Answering staff has extensive knowledge of the auto glass industry and can answer questions quick and efficiently. Trained, Certified, and Professional: Uniformed auto glass specialists are trained on the latest technologies, certified in proper product usage, and accountable for all work performed. We only employ the best auto glass technicians in the industry that are quality minded. Quality Glass and Products: All auto glass or windshield replacements meet or exceed all Federal Motor Vehicle Safety Standards.